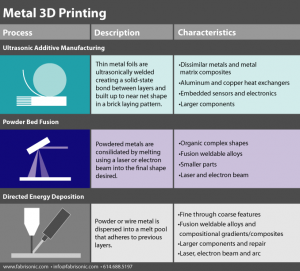 PBF prints by selective melting of individual layers of metal powder. First, a thin layer of powder is screened across a build plate. 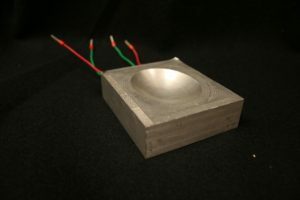 Next, a laser is selectively rastered to the areas where solid metal is required for a particular layer, thereby melting and re-solidifying these regions. The process is then repeated over and over, building up a solid 3D part. Once the build is complete, the loose unwelded powder is removed leaving the desired geometry. -PBF works well with fusion weldable alloys. Since every layer is melted and resolidified, alloys that are known to be weldable are preferred. The melting inherent in the process makes it difficult to use alloys that are susceptible to solidification cracking. Precipitation hardened alloys in some cases can be printed, however, they must be heat treated after the build is complete to attain proper material properties. Typically, a single PBF system is restricted to one specific alloy as dissimilar metals create metallurgical problems and the systems are hard to ever truly get completely clean. -PBF has been used with many common engineering metals. In order to print consistent PBF parts, it is essential for the feedstock powders to have a specific particle size, shape distribution, and metallurgical purity. A supply chain for these materials is developing, but the understanding of the complex interactions between all of the powder parameters will take years of research. -PBF is perfectly suited for complex organic shapes where a rough surface finish is acceptable. As the part shape is governed by where the laser travels, each layer can be a mix of small islands, that when stacked, create hollow lattices and thin walls. Due to the limitations on a laser’s scanning path and trouble maintaining sufficient inert shielding gas, PBF builds are typically restricted to about a cubic foot; constraining PBF to small components. However, numerous parts can be nested in a single build to achieve higher throughput. -Due to the fusion-based joining, PBF parts can have significant residual stresses. In fact, it is not uncommon for improperly supported builds to bow up above the build plane causing crashes with the powder recoating mechanism. This same residual stress when improperly dealt with can lead to parts failing prematurely in service. UAM is ultrasonic welding on a semi-continuous basis where solid metal objects are built up to a net three-dimensional shape through a succession of welded metal tapes. Through periodic machining operations, detailed features are milled into the object until a final geometry is created by removing excess material. 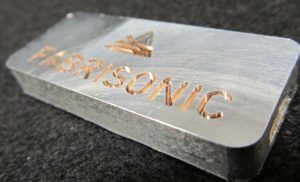 Ultrasonic metal welding has been around since the 1950’s, with modern applications in everyday welding of battery tabs, thin foil packaging, and even electronic wires. An ultrasonic weld operation begins by pressing a thin metal foil onto another metal component. While under a constant force, ultrasonic vibrations are applied to cause scrubbing of the mating faces. This shearing motion cleans off surface oxides through friction, then allowing direct contact of pure metal on pure metal. This process results in a solid-state atomic bond with minimal heating. Ultrasonic welding can be accomplished at a very low temperature and without any special environments. In aluminum for example, this peak temperature is always below 250 °F. -Protects material properties of the incoming feedstock – Since the materials are only slightly heated, the materials do not experience changes in grain size, precipitation reactions, nor phase changes. The properties of the incoming feedstock are the same as the properties of the final part. Metal foils are widely available on the open market for prices approaching that of billet. -Creates bonds between dissimilar metals without creating an undesirable brittle metallurgy – This capability differentiates UAM from fusion based processes and enables Fabrisonic to print engineered materials with custom material properties or properties to match an existing component. For instance, layers of Molybdenum and Invar can be printed into an aluminum heat exchanger to match the CTE of a mounted electronic circuit. -Embed temperature sensitive components in solid metal parts – Many electronic components including microprocessors, sensors, and telemetry have been successfully embedded in solid metal part using UAM. The low-temperature bond allows delicate components to embed into solid metal without the damage incurred incomparable fusion based additive processes.